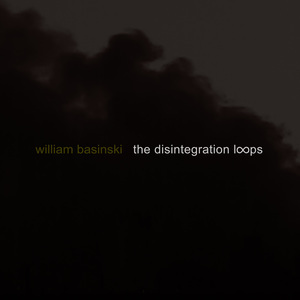 For a collection of music built around the poignant inevitability of decay, there has been a great many hopeful and inspired words devoted to William Basinski's The Disintegration Loops: stunning, ethereal, majestic, transfixing, life-affirming... and for good reason. From its 20-year gestation period to its infamously fateful completion, The Disintegration Loops is one of the most powerful manifestations of the inevitable cycle of life ever committed to tape, even as it documents the inevitable decay of all that is committed to tape. The very passage of time is its most effective instrument. To mark the 10-year anniversary of its original release -- and its forthcoming induction into the 9/11 Memorial Museum this year -- Temporary Residence Ltd. is honored to collaborate with William Basinski in presenting The Disintegration Loops in a fashion truly befitting a library of music with such a lasting legacy. This massive limited-edition box set contains all four historic volumes, plus a pair of stunning live orchestral performances from the Metropolitan Museum of Art, and the 54th Venice Biennale, both previously unreleased. Remastered from the original recordings this exquisite box set also includes all of the remastered recordings on 5 CDs, the extremely rare 63-minute The Disintegration Loops film on DVD, and a 144-page full-color book featuring rare photos taken during the making of The Disintegration Loops, and liner notes by Basinski, Antony, David Tibet of Current 93, Ronen Givony of the Wordless Music Series, and Michael Shulan, Creative Director of the National September 11 Memorial Museum. 5 x CD, DVD, Book in library box. Numbered edition of 2000.